RANGE : Upto 5000 KVA in 11 & 33 KV Class. A normal distribution transformer generally Steps-Down the voltage from H.T. to L.T., however it cannot take care of the fluctuating voltage and most of the times and at most of the sites, it has been realized that, the problem of fluctuating voltage remains, resulting in improper function of electrical systems. H.T. Transformer with Built In H.T. 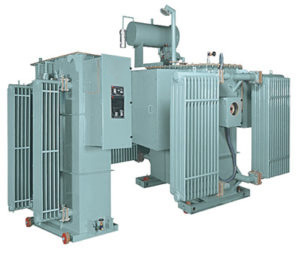 Automatic Voltage Stabilizer provides total solutions for voltage fluctuation and stabilization. The unit is basically a combination of H.T. Automatic Voltage Stabilizer and standard H.T. Distribution Transformer working in conjunction. These are available up to 5000 KVA in 11 KV & 33 KV Class. Standard transformers can correct limited voltage variations and cannot regulate the voltage in ‘on load’ condition. The only smart way to tackle this problem is by installing highly efficient Power Star H.T. Transformer with Built In H.T. Automatic Voltage Stabilizer. 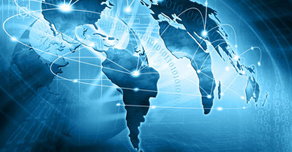 These systems can be used in various industrial and commercial applications. The fluctuating voltage from electricity authority input is initially stabilized by the Built-In H.T. Automatic Voltage Stabilizer and then fed to the Transformer, providing constant L.T. Output within ± 1% accuracy.